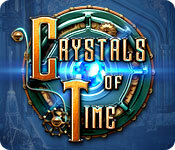 Crystals of Time is rated 2.9 out of 5 by 54. Rated 5 out of 5 by sadcypress from Love It! I almost didn't buy this because of some reviews. The ad details convinced me to go ahead and give it a try. I'm glad I did because this is my sort of game. I can see why it doesn't appeal to everyone because of the dark themes and visuals from the 1930s to 1940s era. I happen to love furniture, clothing and jewelry from this time period, so the scenes and type of mystery appeal to me. There are some grammar errors, and I think the designers don't speak English as a first language. Also, the designers don't have experience with grocery shopping and cooking, lol. For example, there's a difference between a pumpkin and a gourd, and a radish and a turnip. But I found that amusing rather than annoying. There are so many scenes in this game, all of them intriguing. I didn't find anything easy about the game as others have mentioned. The objects weren't always easy to find. The other games within just require logical thinking. I believe two of the games withing it might have been easier than the rest. There's only a few games I'll play a second time later on. This is one of them. Love it! Rated 5 out of 5 by Ironhide58 from Hard and fun to play I am new to this type of games, but I really like it. It was really hard to play and sometimes this is good. Visual: it looks nice, the graphics are ok. Sound: the music it's perfect for this game. Story: could be a little more polished. the end it's quite.. fast. It was fun to play, there are a lot of minigames and I think I spent like 5-6 hours to finish it. Love it. 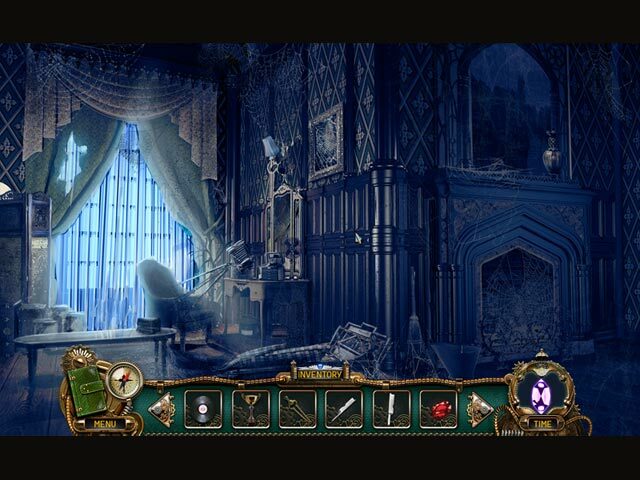 Rated 5 out of 5 by Dexterus from Excelent game I am enjoying this game a lot . The graphics and sound effects are very nice. On the down side I had a hard time with some of the puzzles but using the journal feature I was able to solve them in the end. Rated 5 out of 5 by dinamo4ever from Great game Great graphics and sound! A little difficult, but beside that it's a great game! Rated 5 out of 5 by sbechirian from Pure heaven! It is a wonderful game! The graphics make me think of the games in 2011; nice cru! The music is really good. Plus, the game is small so my computer doesn't make bad noise while playing. Because of this game, I have reactivate my membership with Big Fish games. Hope all the games will be like this one! 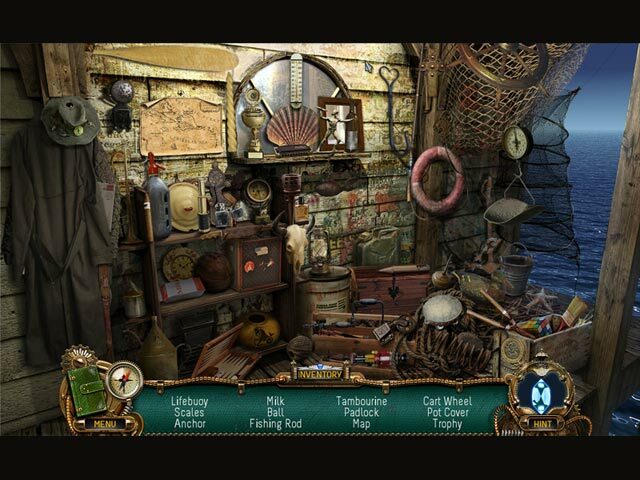 Rated 5 out of 5 by pennmom36 from Not Bad If You Can Overlook The Flaws You're going to have to overlook a weak storyline and just enjoy this game as a hidden object/puzzle game. If you can do that you're good to go.The mini games are easy but fun such as turning on 8 fuses in the correct order and I actually liked the HOS, they aren't interactive but there was a HO game in each scene. You can also travel back in time, an earlier time in the same room when your crystal says TIME in certain rooms. I also noticed several spelling and grammar mistakes, the word golf instead of gulf, openned instead of opened, creppy instead of creepy and even a door handler instead of handle, really? The budget must not have allowed for a spell check program! If you don't put too much thought into this game and just enjoy it for what it is, a no frills kind of game with lot's of HOS, then it's fun. Rated 4 out of 5 by azakihun from I enjoy this game Not so strong story, but the music is so beautiful! (music0.ogg) The graphics is very nice. Appears to be an unfinished story, a sudden cut off the end of. Rated 4 out of 5 by magfan from No jiggly nonsense I almost didn't try it because of the mediocre reviews. I didn't like the idea of playing as a thief. I'd rather be a detective or acquaintance or something. But after playing the demo for a while, I found the game was actually more relaxing and enjoyable than other recent games with more technical polish. Why? As much as I try to ignore the incessant extraneous junk encroaching onscreen, jiggling around, and blasting off some insipid fanfare that is rampant in recent, supposedly more technically advanced, games, it has a detrimental effect on my ability to immerse myself in the gameworld. Crystals of Time has none of that. Playing it was surprisingly peaceful despite the slightly ominous environment. The art design was detailed and attractive. The music suited the game and helped maintain the atmosphere. It didn't play all the time. I often turn off music in games, but in this case the music blended with the game well enough and was inoffensive enough that I let it play. Crystals of Time took me 3hr 21min total, which is sort of an average time. On the negative side -- I would have appreciated some water animations for the lake/ocean, even if it were only a slight glimmer of reflected light. The Hint wasn't my favorite type. I like Hints that point you in the direction to go. This one just brings up a picture of where you should go, which isn't too helpful if you'd never seen that location before or couldn't remember where it was between playing sessions. There were a lot of misspellings. There were misidentifications (vacuum tubes were called lamps and a big hook was called a heart). 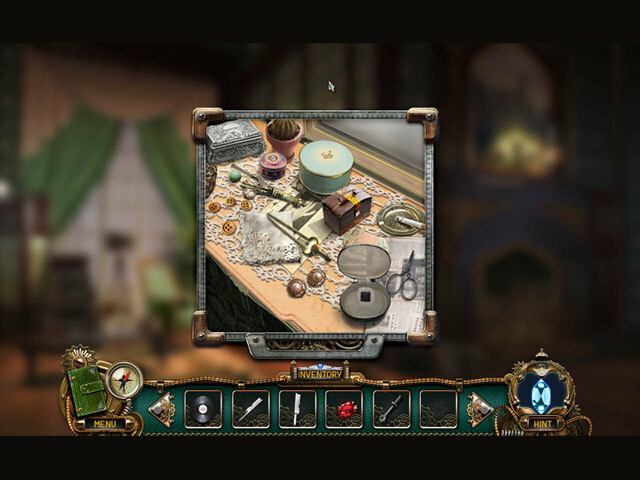 One hidden object was called a "pergament" which is apparently a German word for parchment, but not an English word. But these things bother me a LOT less than the unwanted and un-get-riddable interruptions that plague most currently released games -- making Crystals of Time seem like a breath of fresh air in contrast. For that alone I give it an extra star. And I will definitely play it again in a few months. I very much enjoyed it.